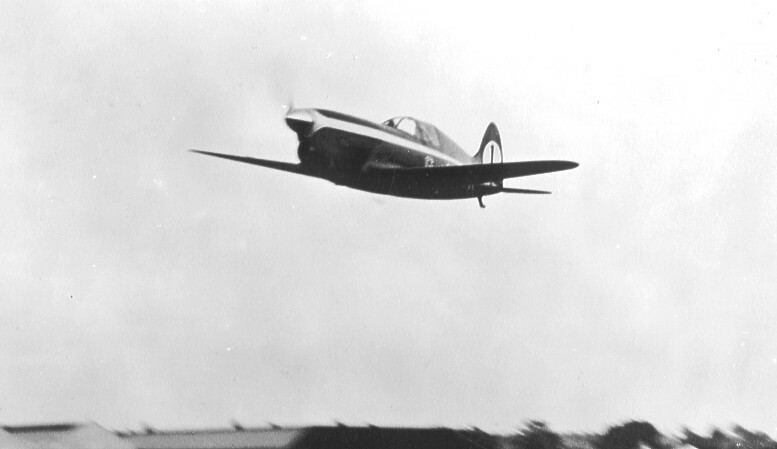 This plane was designed by students at the deHavilland Technical School during 1937. It was made entirely from wood, and was constructed “around” the engine. The aircraft came 9th in the 1937 Kings Cup Race. 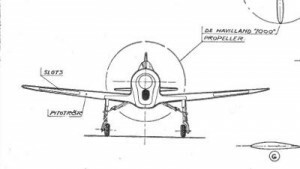 It is an interesting aircraft in that it taught deHavilland how to build aircraft using balsa sandwiched between plywood – a technique that was later put to good use on the Mosquito. The only reason for doing a model of this aircraft is that I like the way it looks. 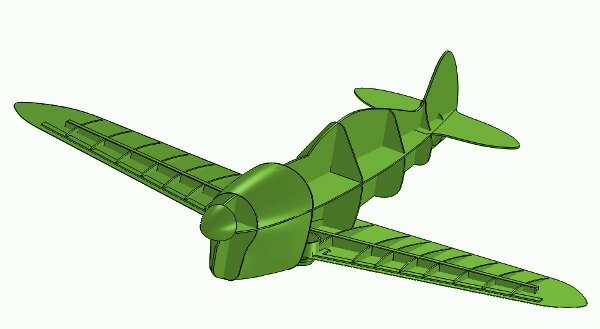 It also provide some challenges, in particular how to build light, as this aircraft is much smaller than any of the other aircraft I normally build. I still have all data on my harddrive, so it’s only a matter of recreating the information on the website. I got this 3-View from an old Swedish modelling magazine. It was drawn by Bjorn Karlstrom and is quite detailed. I have received these wonderful photos of a TK4 control line model. The full-scale TK4 racer was scaled down by Mr. R.G.Moulton, and made into a gorgeous little model. The skill required in designing as well as in building and painting the model is obvious from the photos. I love it. 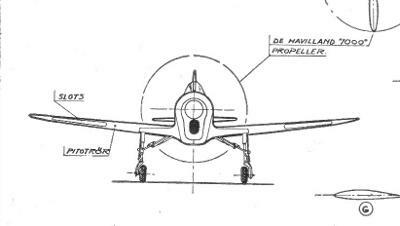 The model appeared in The Aeromodeller magazine in 1951, and was able to fly at 88.8 mph. Due to the small sizes of models in these days, the wingspan of the model had to be increased slightly to get a good flying model. I will NOT do that on my scale model. Time will tell whether that is a good idea or not. In any case, I owe Mr. Jonathan Moulton, the son of the designer of the TK4 model a big “thank you” for sending me the magazine clippings and the plans for the control line model. The plans will come in handy as inspiration, and when it comes to painting my model. These photos are the first I have, showing the original paint-scheme in any detail. I have drawn the major formers and lofted the cowl. Even at this early stage, it is clear that this is going to be a fast little aircraft.